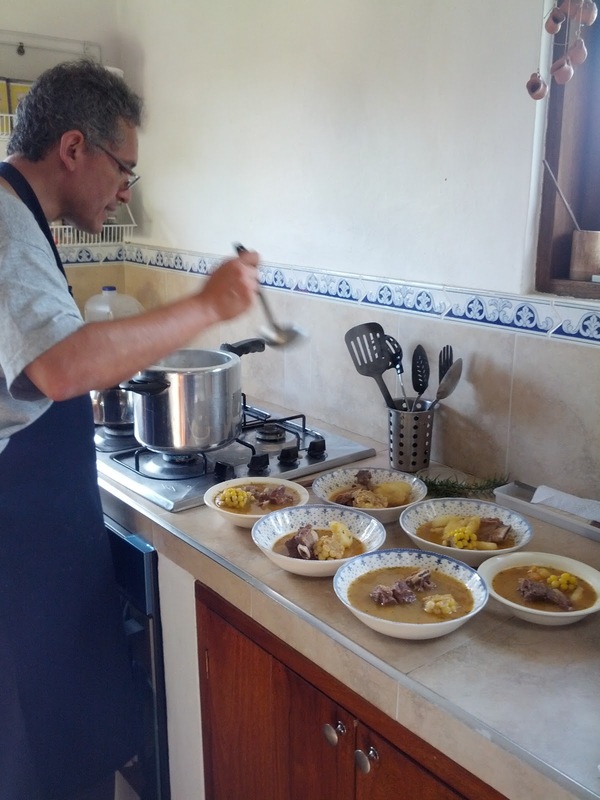 Another traditional Colombian soup recipe requires that families put in the soup pot everything they have in the fridge, making a sancocho. Easy, right? Literally translated as ‘mess’, the name was derived from the variety of ingredients of the soup, a mix of everything. It is commonly made in Colombia and South America. The VIPs of ingredients are meat and carbs. The one that I tried was a home-made concoction of yucca, potato, corn, and beef ribs. It takes two solid hours of boiling to make a soup, making it comparable to a nutritious Cantonese ‘old fire soup’ that takes 2-3 hours on high heat. I love sancocho and ajiaco. My husband is from Colombia and I’m always interested in learning more. What brings you there? Hola!! SAME STORY! Where are you based?! lets meet up! I’d love to meet another blogger!!!! I wish I were in Bogota! I’m in NYC. I’ll have to settle for stories, but I can see I’m in good hands with you! Consider yourself lucky! Yes – I will try my best to show all fronts of Bogotá and Colombia to the world!! Keep in touch!